Hollywood has come a long way thanks to advancements in technology like CGI and green screens. Movies and TV shows just couldn’t capture our imaginations the same way without these special effects. Turning on a film with incredible effects can transport us to a different place, but doesn’t it make you wonder what it looked like actually filming these scenes? We always knew The Hulk must rely on CGI and green screens, but it’s another thing to see it with your own eyes. Check out these behind-the-scenes photos of Hollywood hard at work, and laugh at how ridiculous the actors look. I’m sorry, but I refuse to believe this photo is real. I was under the impression that the wizarding world of Harry Potter was a real place, and that I just wasn’t invited because my letter to Hogwarts got lost when Voldemort destroyed the Ministry of Magic’s records. 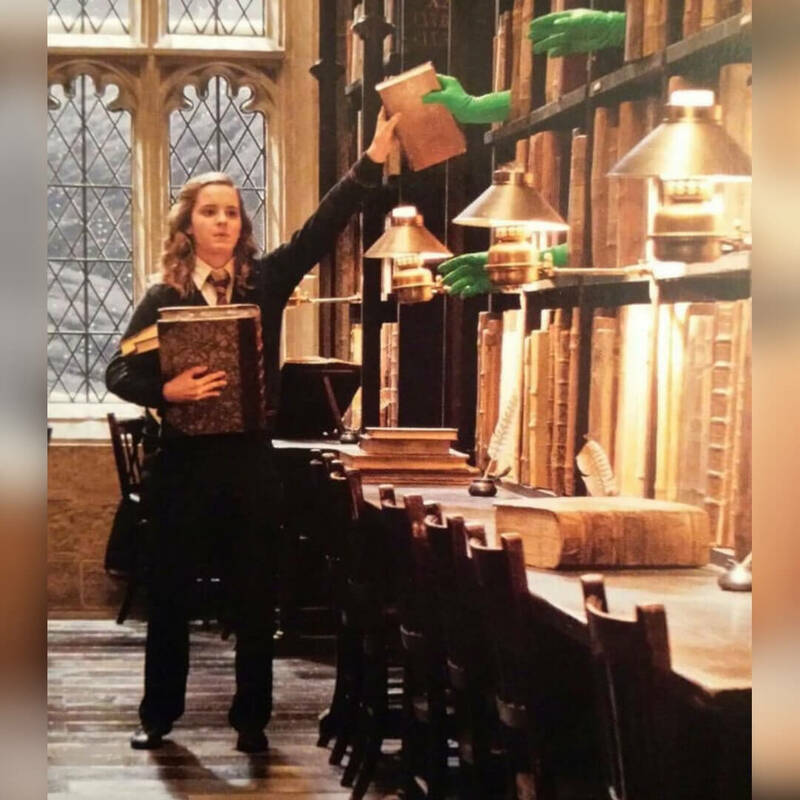 These green screen hands must actually be magical creatures that live in the library.